Today is the release day of The Dangerous Duke of Dinnisfree by Julie Johnstone and she's here sharing an excerpt! “Am I so undesirable, then?” Her voice wobbled with her vulnerability and pulled on a heartstring he’d thought long split in two out of necessity. What a shocking surprise that the thing still worked. Why here? Why now? Why the devil her? Her cheeks pinked immediately, and she twisted her hands together. The why of it all struck him in the gut and caused an infinitesimal crack in his self-control. It was here, now, and her because she reminded him of himself when he’d been younger, weaker, and foolishly longing for the impossibility of his parents’ love. That same sort of desperate longing dwelled in the depths of her eyes and resounded in her voice. He wanted to take her pain from her for a moment and give her a reason to believe she was wrong about herself. He could do that. What harm could that bring? The Dangerous Duke of Dinnisfree by Julie Johnstone is a historical romance, released on October 26, 2015. 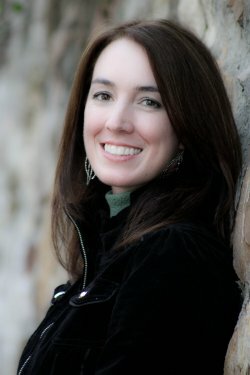 Julie Johnstone is a USA Today best-selling author of Regency Romance and the author of a new urban fantasy/paranormal romance book. She's been a voracious reader of books since she was a young girl. Her mother would tell you that as a child Julie had a rich fantasy life made up of many different make believe friends. As an adult, Julie is one of the lucky few who can say she is living the dream by working with her passion of creating worlds from her imagination. When Julie is not writing she is chasing her two precocious children around, cooking, reading or exercising.